Jimmore International Corp. is proud to introduce “SLOKY Torque Screwdriver” from Taiwan. SLOKY torque screwdriver is within 30 years' experience and nearly 100 units of machineries and testing equipment, dedicated in producing high precision metal machine parts. 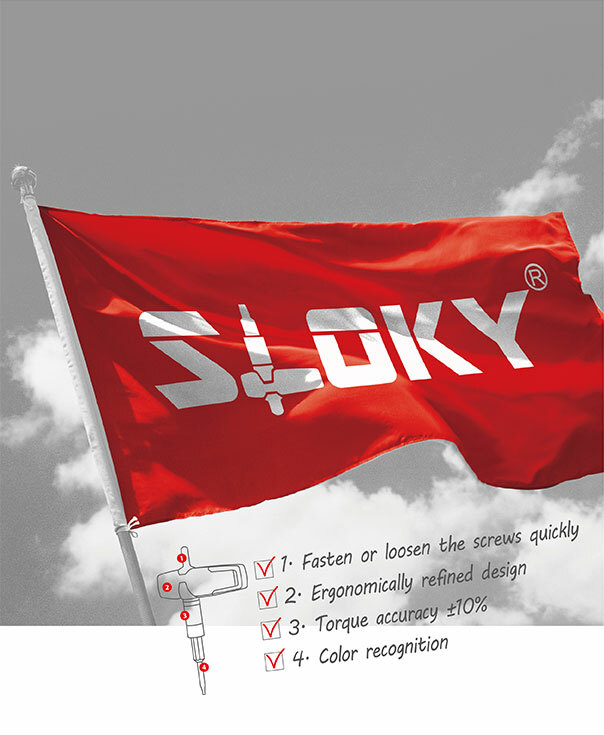 SLOKY insisted providing high efficiency, high quality, and high satisfaction to global customers with continuous innovation and invention. Furthermore, we also integrate our experience and expertise into manufacturing sophisticated hinges for various applications including auto parts, 3C products (LCD, PDA, PMP, GPS), accessories, and else. SLOKY not only pursues advanced technology and RD capability by applying numbers of patents, but also has passed the international quality management system ISO9000 authentication and QC080000 RoHS certificate from ECCB since 2007 for our quality assurance. All of us at Jimmore team have confidence and pride in our products and consider our mission to provide customers with products that they can trust and that will make them benefited. Jimmore welcome you to view our high quality products.